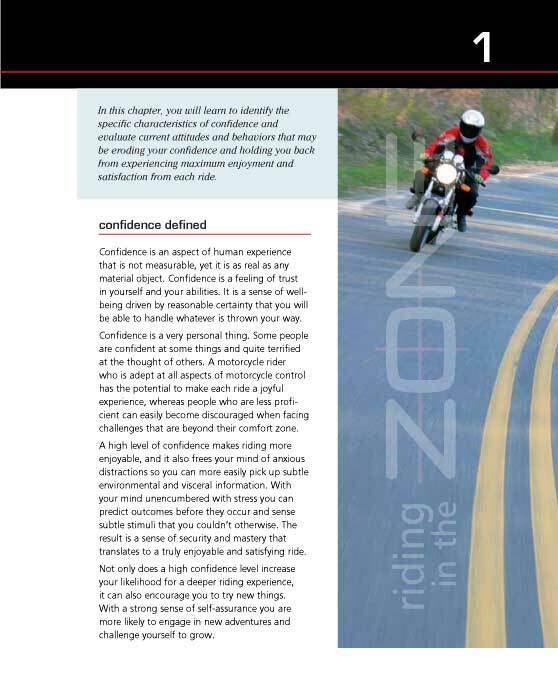 NOTE: Riding in the Zone is CURRENTLY SOLD OUT until the publisher prints more. A PDF VERSION of the Book is currently available. CLICK HERE to order and download it now. 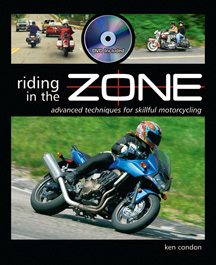 This 143 page full color book includes a 30 minute DVD with parking lot drills to advance your riding ability. Get an autographed copy when you buy from my website. NOTE: Books cannot be sent outside the U.S. Please purchase from Amazon or another retailer. “I received your book and CD just before I left out of town. I got back and haven’t been able to put it down. 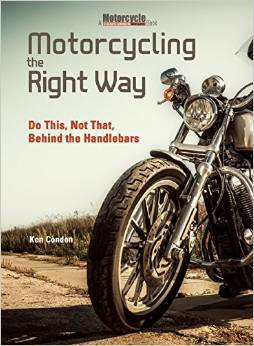 I enjoy the way you describe the practice exercises, and have been out to the parking lot twice to work on the cornering techniques.” – J.C.